As we are all too aware, today, the number of divorces, lawsuits and bankruptcies is staggering. While no one believes lightning will strike them, wealth created through a lifetime of work, saving and investing can be lost overnight if these forms of man-made lightning do strike. To protect your assets from such disaster, proper risk management strategies should be given careful consideration. These strategies include exempting your assets from the claims of creditors, limiting your liability through legal entities, and transferring your risk through insurance. Many entrepreneurs operate their businesses as sole proprietors rather than through a legal entity, such as a Corporation or a Limited Liability Company. These business owners are attracted by the informality of sole proprietorship. They also do not want to incur legal fees to create and maintain a legal entity. However, in addition to tax and other advantages, conducting business through a legal entity may offer substantial risk management benefits. 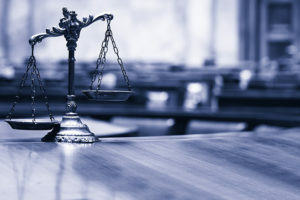 Lawsuits brought against a sole proprietorship are really lawsuits against the owner’s personal assets, whereas lawsuits against a properly created and maintained legal entity are lawsuits against the entity’s assets, not the owner’s individual assets. Therefore, the selection of an appropriate legal entity is critical for managing your risk. If you would like to discuss asset protection planning, we would encourage you to call or e-mail us to make an appointment.